There is a tension at the core of all great startup stories between the cold technology that powers these businesses and the raw, emotional hearts of founders discovering their humanity under some of the most searing conditions imaginable. Too often in the tech press, we glide over the human soul of our stories in the pursuit of the next feature, the next funding round, the next acquisition. It is the tragedies and the triumphs that are crucial in building up businesses and forging the leaders who run them. No where was this more true than in South Korea this past month, which has been a study in mobilizing for the future in the face of adversity. The country’s wealthiest and most famous businessman, Samsung chairman Lee Kun-hee, experienced a heart attack earlier this week, and remains sedated under careful monitoring. It is hard to describe the emotions of many here, who remain in awe of his accomplishments while fearful of Samsung’s future and influence. News teams remain stationed at the hospital – a Samsung hospital, no less – awaiting any news on the 72-year-old’s condition. Yet, the personification of triumph over tragedy emanated not just from the top of Samsung’s corporate ladder, but from its most humble rungs as well. For years, workers at Samsung’s semiconductor plants have fought for compensation related to the deaths of more than 40 workers from cancer, which is believed caused by carcinogens originating in the chip manufacturing process. Following the release of a local documentary and a major story in Bloomberg BusinessWeek, the company apologized for the deaths this week, and offered compensation to the victims. Korea is sometim es described as the Republic of Samsung, and the company’s somber atmosphere was equally reflected in the country as a whole. Few moments have hit the country harder than news that the ferry Sewol had sunk off the country’s southern coast last month, leading to the deaths of almost 300 people, most of them high school students on field trips. 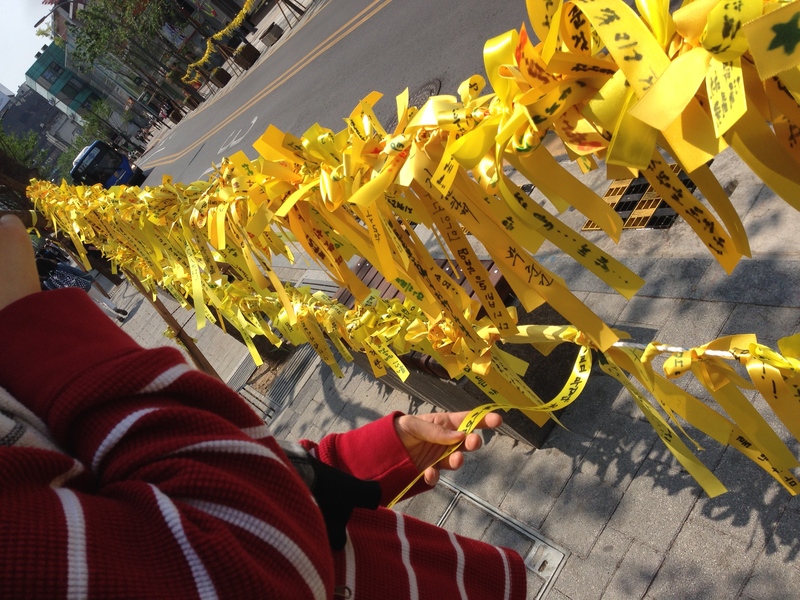 Following the tragedy, yellow ribbons have popped up across the country in solidarity with the families of the victims. Many Koreans are asking how their institutions reacted so poorly to the disaster, and recent polling shows a steep drop in trust for government and corporations. The answer may well be one familiar to this audience: startups. This week, Seoul got a taste of its growth in innovation through two conferences, which offered a comparatively optimistic dose of solace to a country otherwise reeling from recent events. At the third incarnation of BeLaunch, the story was all about the success of Korea’s top two startups – KakaoTalk and Coupang – as well as the increasing interest of Silicon Valley investors in the region. At Startup Nations, a dozen Asian nations participated in finding common ground between their startup ecosystems. It is this dichotomy of Korea – a nation whose broadband is one of the fastest in the world, yet whose people have among the highest suicide rates in the developed world – that remains at the heart of the intensity of this country’s drive to the future, and can make the country so difficult to understand for those who don’t follow it closely. Korea’s development of a startup ecosystem has certainly been rapid, coming not just from a desire to create the future, but a fear that its top companies risk being left behind in the changing technology landscape and competition from China. In many ways nonexistent three years ago, the size and diversity of this awakened ecosystem is profound, with a new generation of startup entrepreneurs increasingly refusing to follow their predecessors into the top corporations. They are assisted by billions of dollars in government programs designed to encourage and sustain startups with the funding needed to become big businesses. Korea’s rapid ascent has gotten the attention of nations around the continent. 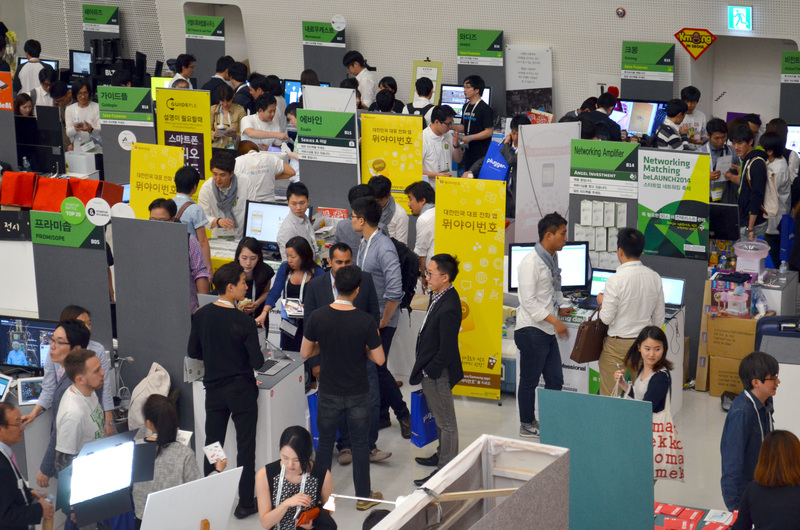 At Startup Nations on Tuesday, representatives from across Asia learned from Korean startup leaders and each other on how to foster an entrepreneurial culture. Sponsored by the Banks Foundation for Young Entrepreneurs, a recently endowed $400 million local non-profit that acts as a sort of Kauffman Foundation for Korea, participants discussed the investment climate, accelerators, government programs, and other infrastructure required to get startups off the ground. Interestingly, the conversation centered on scaling businesses up, rather than getting talented founders to start their businesses in the first place. Despite the stereotype of risk-averse Asian entrepreneurs, there are an increasing number of people across the region who feel deep resonance with the ethos of Silicon Valley, but these trailblazers are facing enormous hurdles due to a lack of funding and a narrow view from investors on business models and profitability. Additionally, some countries like India and China have very low internet penetration rates, making it difficult to build the kind of technical startups loved by Silicon Valley. For venture capitalists working along Sand Hill Road, finding startups used to be pretty simple. Have the founders of companies drive down Highways 101 and 280 to Menlo Park for a meeting, and make an investment decision in the ensuing weeks. Given the history of startup unicorns, it seemed only natural to focus investment energy on their seemingly native habitat of the Bay Area, and ignore much of the rest of the world. Yet, the last few months should give everyone pause about the exclusive dominance of Silicon Valley or even the United States in building startups. Alibaba’s IPO could be the single largest technology offering ever, dwarfing the size of Facebook’s 2012 financing. China’s microblogging service Sina Weibo, which debuted last month on NASDAQ, is currently valued at $4 billion. And several more IPOs from the region are likely to come soon. Seoul has not always been a noted destination for Valley dollars, but it did manage to host noted investors David Lee of SV Angel, Naval Ravikant of AngelList, and Joe Lonsdale of Formation8, who stopped by BeLaunch and doled out advice to the attendees. As Samsung faces headaches in its growth, the hope is that one of these startups has the potential to be Korea’s next global powerhouse. But those are merely dreams. Today, these founders have much more simple concerns, like paying the rent and finding an investor who believes in them. The tragedy is that many of these businesses won’t make it more than a year or two. The triumph is that they started at all. For a country whose tragedies have been front-page news for the last few weeks, that endorsement of the future is perhaps the greatest story of all.